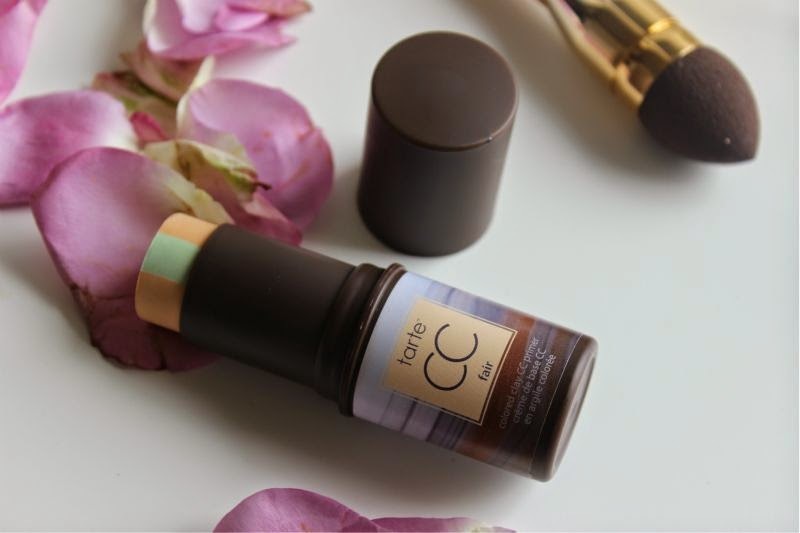 First of all top marks to Tarte for ease of use when it comes to the Tarte Coloured Clay CC Primer. 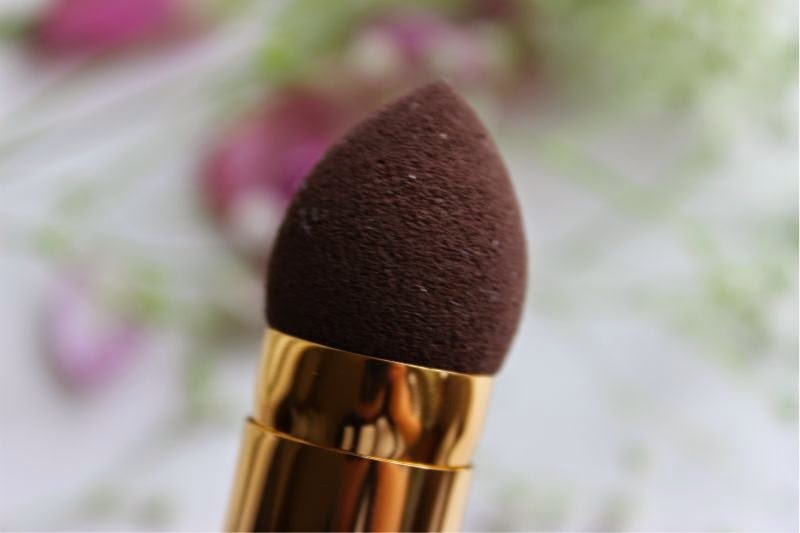 A twist up stick like product that reminds me a little of Max Factor's Pan Sticks, wind the product up, dab on the face and blend out. Really easy, almost mess free especially if you use a brush and perfect for travel be it abroad or the daily jaunt to work. No complaints there what so ever. 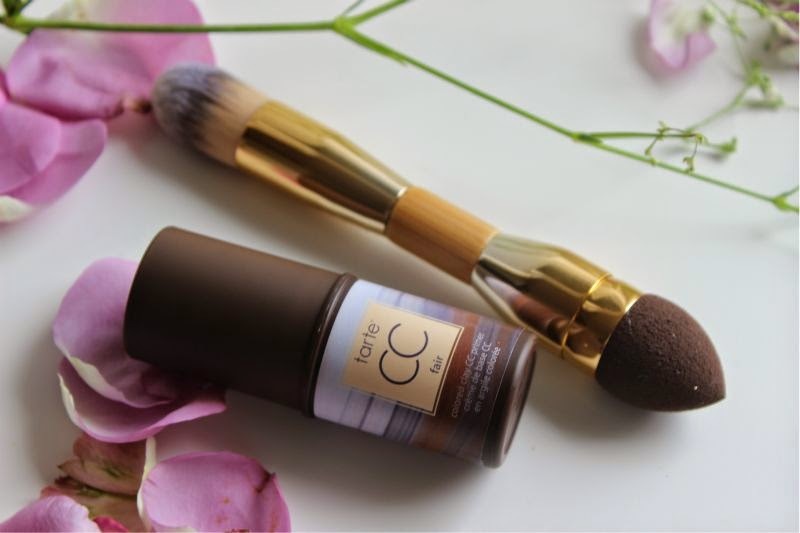 The Tarte Coloured Clay CC Primer also comes complete with a dual ended brush which is of brilliant quality. 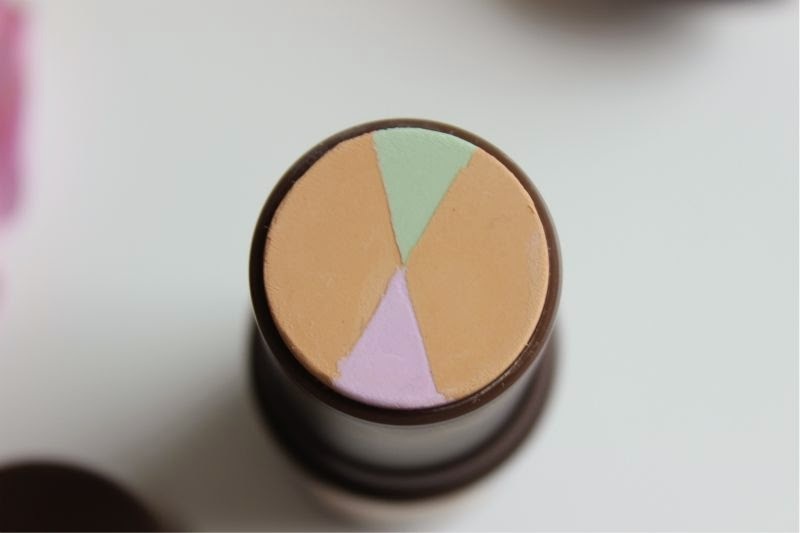 One end is almost like a beauty blender, a soft, tapered sponge that is a dream for blending out under eye concealer. I realise it is intended to be used with the primer but I can't say it worked all that well with the silicone based texture. 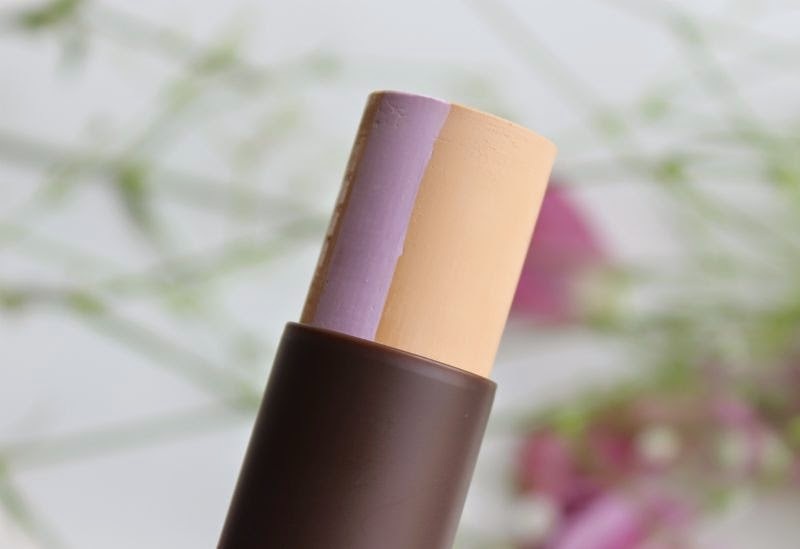 The other end is a tapered, firm and somewhat dense brush that works beautifully with liquid foundations and of course the Tarte Coloured Clay CC Primer. 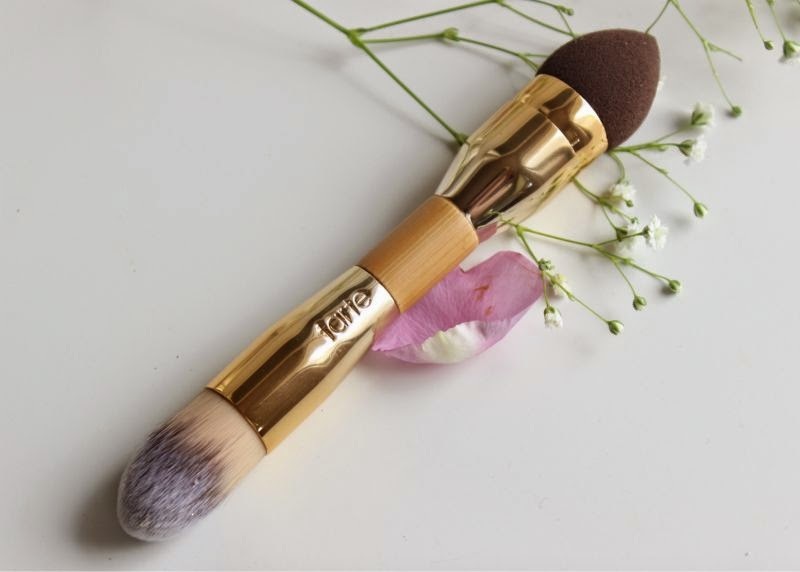 I say this all the time but I wish Tarte would release some of the "kit" brushes as individual items as they really are of an excellent quality (easily some of the best out there), not to mention vegan. Now on to the primer, if we can call it that. 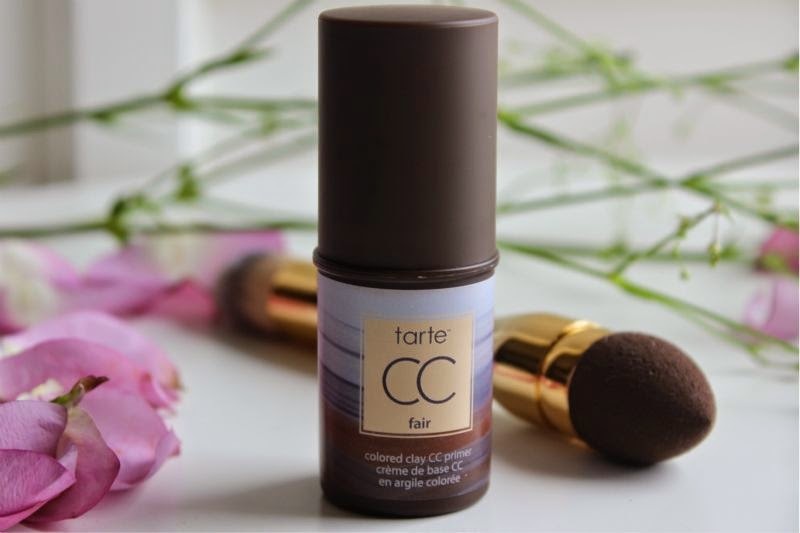 The Tarte Coloured Clay CC Primer can not be faulted on the colour correction aspect, the medley of pigments really did calm the little redness I have around my nose as well as creating an even base. It also contains silicones to blur and fill enlarged pores and fine lines. 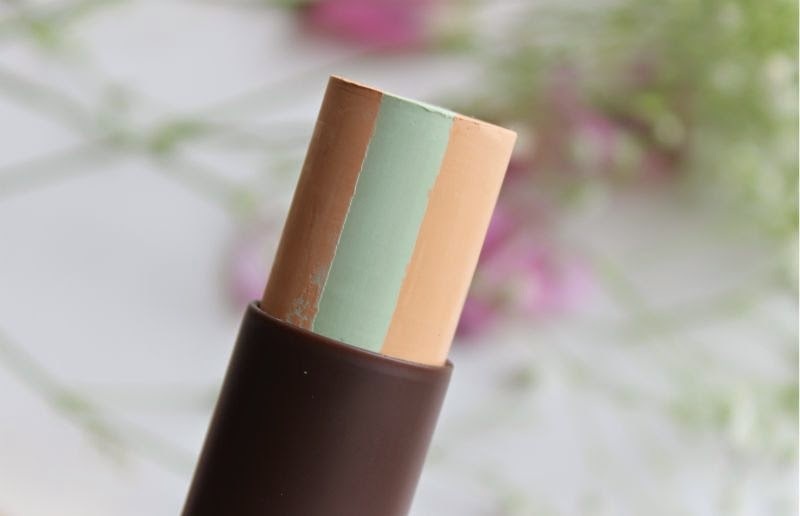 I was so blown away by the finish that it created the first time that I used it, I stood at glared at my skin for a good five minutes and openly said wow. 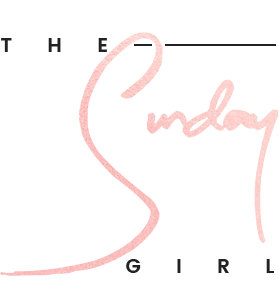 The problem really arises once you begin to apply products of a cream or liquid finish on top of the "primer", the slippery texture of the Tarte product means that nothing really adheres to the skin. As someone who has oily skin this is less than ideal, if anything I would say that rather than prolonging make-up wear this reduced it. 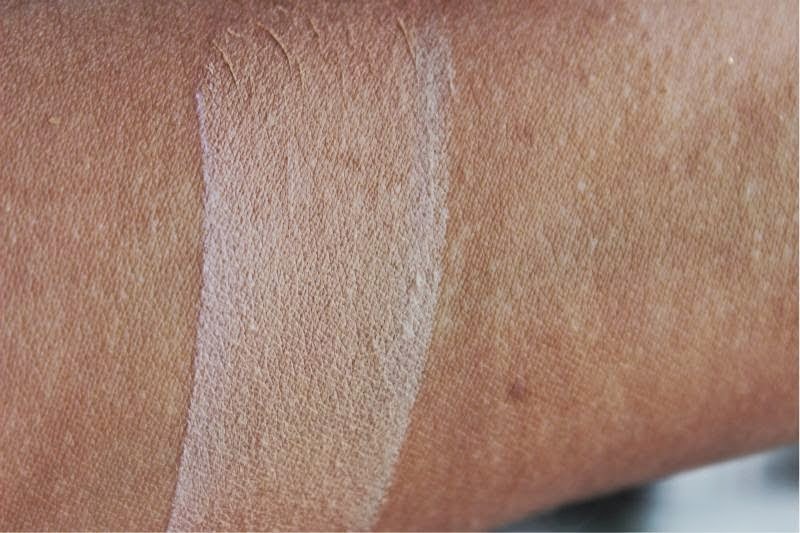 All is not a loss though, if you have a drier skin type you won't experience the same problems and if you don't need a whole lot of coverage this makes a great stand alone product. On a good skin day, I rather like this as an all over base set with powder as it really does create a flawless finish - that I can not fault. Shame it doesn't live up to it's Primer title but looks like a great colour correction product and something to perhaps use under a light base if you want to even it out! It's a shame it didn't live up to all it's claims! But that brush, amazing! 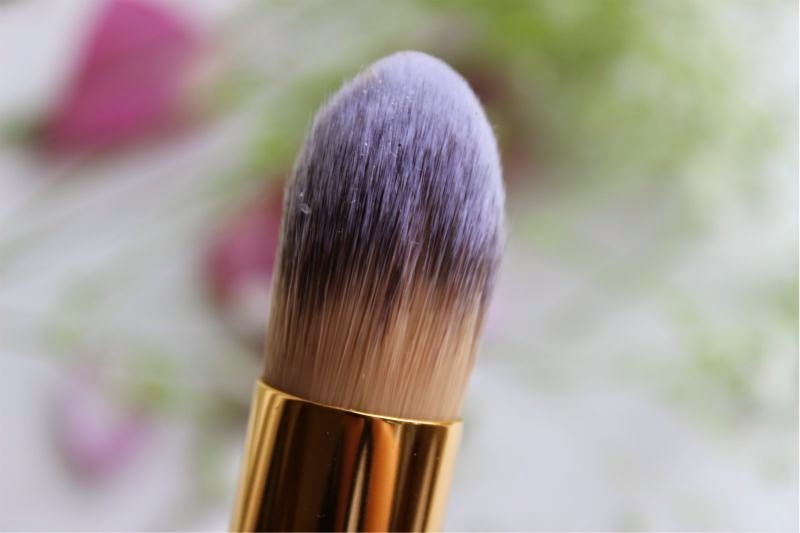 I find myself going from a brush to sponge when applying foundation because I love a light coverage, so that is definitely the perfect tool for me! The concept and colours sound fantastic, although not being able to put colour on top is annoying. 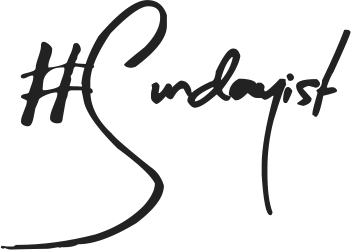 Probably better using sparingly or on good skin days like you said! Such a shame it didn't work as it should have.. That brush looks amazing though!